Product prices and availability are accurate as of 2019-04-20 13:09:46 UTC and are subject to change. Any price and availability information displayed on http://www.amazon.com/ at the time of purchase will apply to the purchase of this product. Are You Fed Up With The Dust, Smoke, & Odors Around Your Home, Office, Workshop, Showroom Etc.? Do You Frequently Suffer From Allergies Due To Your Pet's Mold & Danger? Do You Frequently Suffer From Illness Due To Bacteria, Viruses, & Airborne Germs? Then You Need Purified Air Around. 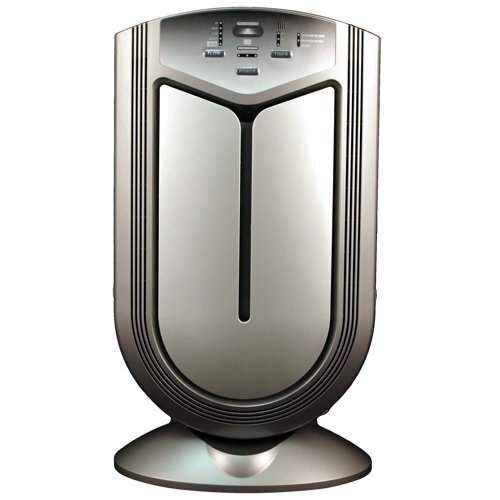 State-Of-The-Art Process - The advanced technology Air Shield air purifier features a 9-stage air pollution detection, diagnostic, filtration and purification system which includes: sophisticated air quality sensors; diagnostic sensors indicating when it's time to change filters or conduct other routine maintenance. 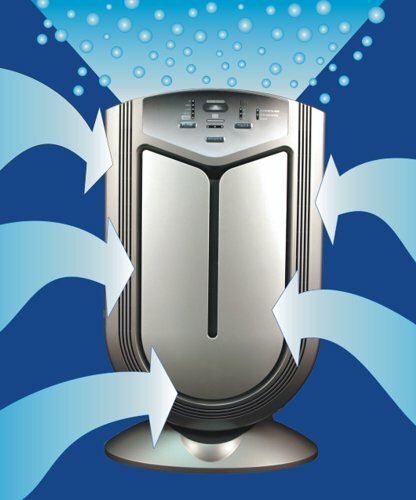 Filters Every Air Borne Particulates - Air purifier is equipped with pre-filters for trapping larger airborne particulates; high-performance HEPA filters harmful particulates with 99.97% effectiveness and captures as small as 0.3 microns. Activated Carbon absorbs noxious odors, fumes, gases and Germicidal UV Light destroys bacteria and viruses. Advanced Sanitizers - Dual Photo Catalyst Nano-TiO2 Germicidal Sanitizers suppress the growth of harmful microorganisms including mold and mildew. Negative Ion generation clears smoke, decreases carbon monoxide levels, combats airborne infections in turn helps in reducing fatigue. Best Accessories - Air purifier features a powerful but ultra quiet 5-speed fan; intuitive easy to read LCD control panel; and 4 mode automatic on/off timer function. Unique 9-stage detection, filtration and purification system includes: 1. Air Quality Sensors; 2. Diagnostic Sensors; 3. Pre-Filter; 4. Electrostatic Dust Collector; 5. Activated Carbon Filter; 6. High-Performance HEPA Filter; 7. Germicidal UV Light; 8. Dual Photo Catalyst Nano-TiO2 Germicidal Sanitizers; and 9. Negative Ion Generation Filters pollen, smoke, air pollutants, odors, bacteria, germs, mold pet dander and more... Sophisticated dust and odor sensors automatically monitor air quality. System self adjusts based on air quality. Purifies nearly 800 sq. ft.